One notable absence from Saturday's season opener against Carshalton Athletic will be the match-day programme. On Saturday The Rooks kick off their return to the Bostik Premier League when Carshalton Athletic visit the Pan. Returning fans will notice the new look team, with a number of new signings that have impressed in Pre-Season as well as a completely refurbished Rook Inn. But one thing that will be missing will be the Lewes FC match day programme. 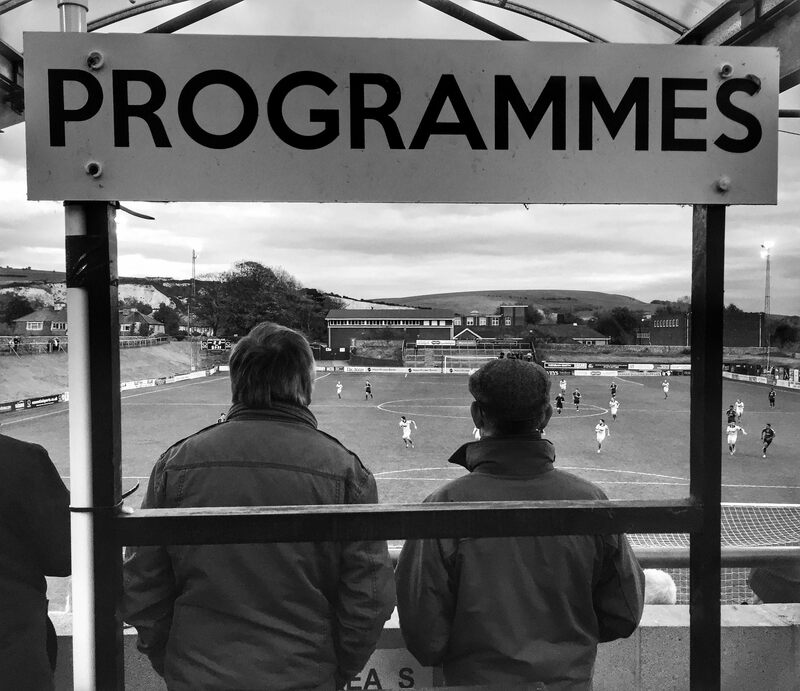 In keeping with a number of clubs, Lewes FC have taken the decision to go digital this season and will be publishing an online programme for both first teams, accessible via smart devices upon entering the ground. The new publication will feature the usual excellent editorial, mixed with pictures, video and audio. It will feature a preview of our opponents, provided by the man behind the new Lewes FC podcast, Ben Lane, as well as interviews with the management team, the players, the board and of course, fans. Because it is published online, we will be able to update content right up to kick-off and beyond into the game. For those who still crave some printed material, team sheets will still be available from the club shop. We have taken great pride in our match day programme, inviting a wide breadth of writers to produce unique and varied content coupled with some excellent match images. Our style and quality of content hasn’t changed much over the past few years, yet the number of copies we sell per game has slowly reduced despite attendances rising by nearly 25% over the last three seasons. We have traditionally sold 1 programme for every 4 attendees. On an average match-day we print 200 copies, 50 of which are used for players, management, guests and officials. Once or twice a season we will sell out but in most instance we are left with unsold stock which simply goes to waste, and that leads to us making a loss over the season on our match-day programme. Our current online programme, published on the website 24 hours after the game often gets more views than we see sales so we know that people are becoming more comfortable reading an online version. We know it won’t be everyone’s cup of tea, but Lewes have always been about innovation and pushing the envelope for football clubs everywhere. We believe we will be the only club to do this multi-media style programme in England and whilst we will be reducing some of our operational costs, we will hopefully be setting the standard for the future of the football programme (and doing something to help the environment). This new e-programme opens up a whole new world of opportunities, not only for the club but also for our fans. The ability to be able to add dynamic content is a huge opportunity – putting video into the programme, having a live scores feed, making content interactive, and being able to access it from the palm of your hand in real time. Oh, and of course it is free of charge.